We have a client with a product so unique, only a handful of markets use it. The site serves companies that play in that market with product updates and industry news. No one other than the businesses who need their product subscribe to their newsletter or product update notices. This client does not need SEO. They have, but they don’t need it. However, we believe that most companies benefit from the basic building blocks of SEO—The Five C’s: Code, Content, Connections, Communications, and Capture. Every website should have underlying code that Google, Bing, and Yahoo can use in order to rank the site on a search engine results page (SERP). These are often referred to as meta tags. How to write certain meta tags is a science in itself and usually requires identifying the keywords used by direct competitors. The content on your site (and content about you elsewhere on the web) is your single most important SEO ingredient. SEO-friendly content satisfies the search engines and delights and amazes your prospects. Keyword phrases done well are subtle, relevant, and read like we speak. If you’re overaggressive with SEO keywords, a site can actually be “punished” with a lower rank or no rank at all. Writing SEO-friendly content is an art. It’s called link-building, and it’s the most difficult to do well because it requires engagement. Not the proposal-leading-to-marriage kind of engagement, but link exchanges with “influencers” in your market. So if your site boasts the world’s first electric tractor, you want Farm Industry News writing about you and linking to your website. Don’t pay anyone to find broken links on other sites with the offer to replace the broken link with yours. Google wants high quality SERPs and will punish those who abuse their algorithm. Social media is not SEO. But using social media to engage with customers and influencers is one of the best ways to create the connections that lead to SEO-helpful links. Don’t get me wrong, we all belong at the Social Media Marketing Table. So when you post, keep in mind who you are posting for—your customer and a potential industry influencer. As Alice said to the Cheshire cat, “if you don’t know where you’re going, any road will get you there.” When looking at website traffic, we can’t know how well we are doing today unless we know how well we did yesterday. Google Analytics embedded in a website is just the beginning. Knowing how to analyze the data, then change, alter, add to or get rid of certain content on your website is critical to a site’s success. What if No One is Picking Up What You’re Putting Down? Let’s say you have invented a new product that has proven immensely popular with the friends and family whom you persuaded to try it. It could be the next top-seller gadget for 2018, but no one is searching for it because no one knows it exists. Running keyword research is a waste of time—keywords won’t exist yet. You have to create them! In these cases, the best SEO tactic is paid search in an awareness campaign. The good news is that the cost of paid search is affordable—there’s no competition in this case. Once there’s demand, return to an SEO strategy and drop or scale back any AdWords campaign. 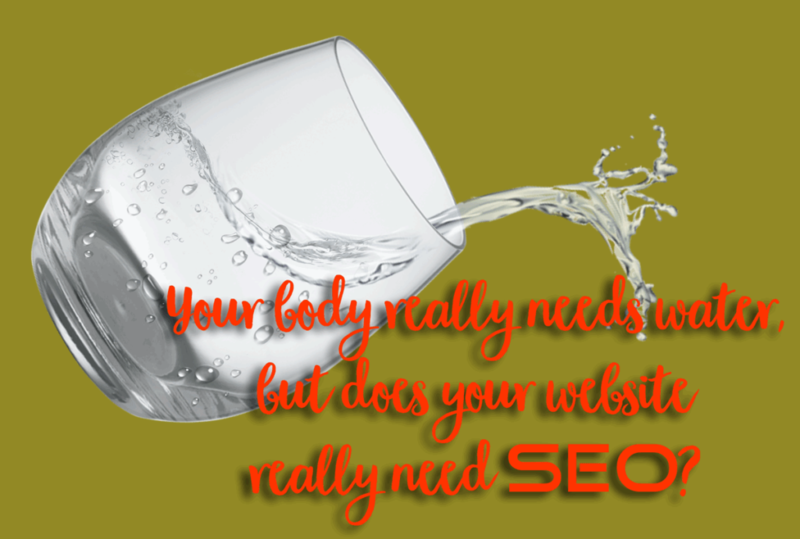 Want to check out your website’s SEO potential? Email us and we’ll send you our SEO Best Practices Guide. Or just call (772) 932-7969. Do it now! This entry was posted in business tools, SEO and tagged SEO, SEO Best Practices Guide, SEO-friendly content, website marketing tools. Bookmark the permalink.